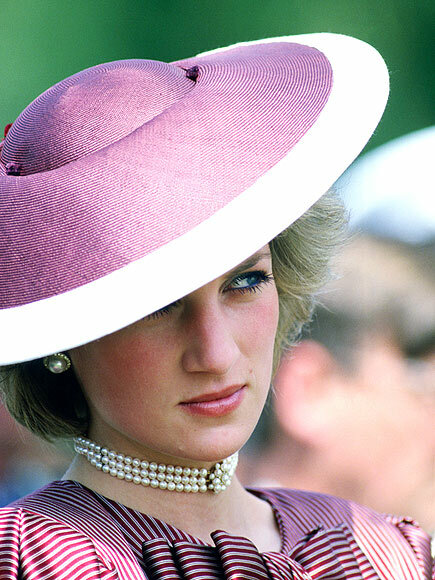 A hats roundup for Easter. 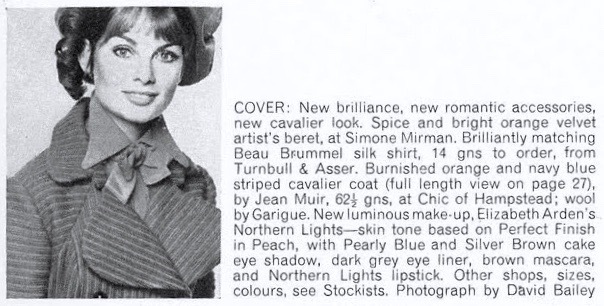 A Jean Muir look on the cover of British Vogue, February 1973. Photo: David Bailey. Model: Susan Moncur. Image: eBay. 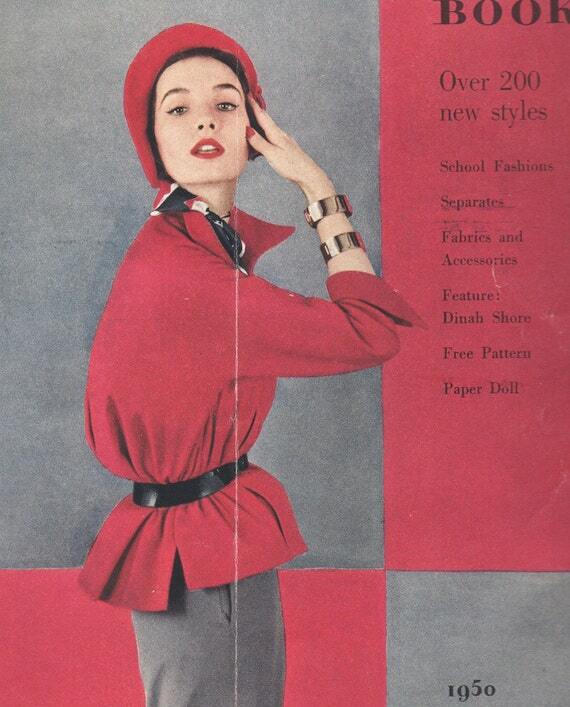 Jean Muir was the only designer to ascend from Butterick Young Designer to Vogue Couturier. 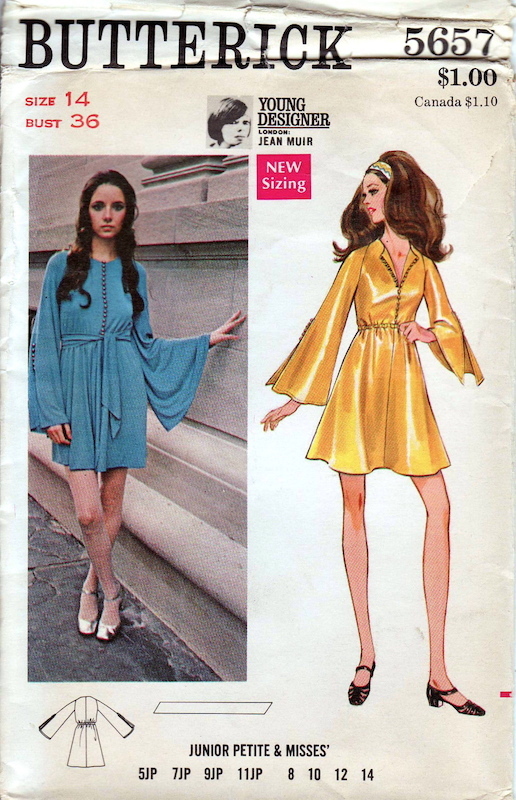 (See my post on Jean Muir’s Butterick patterns here.) 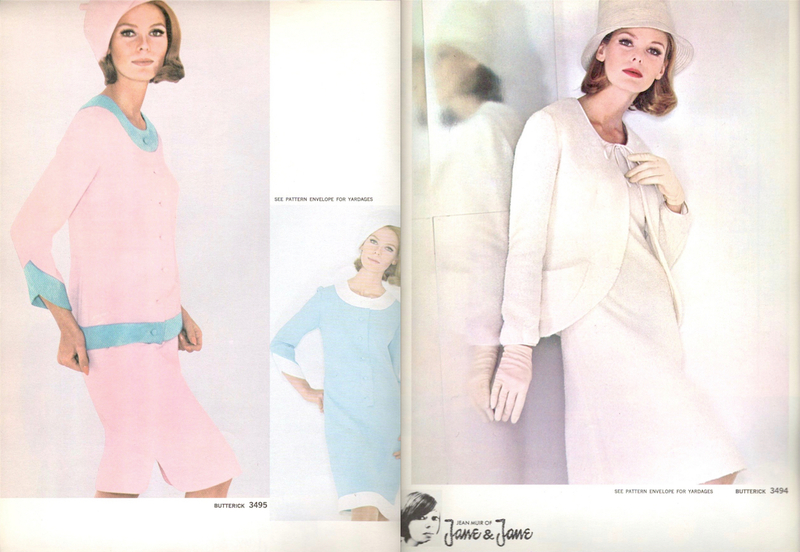 This week, a look at Vogue’s Jean Muir patterns from the early 1970s to the mid-1980s. 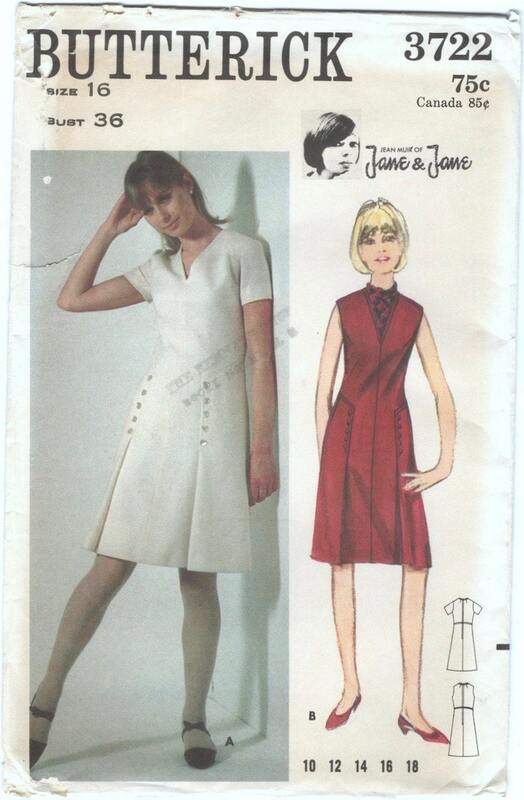 Pattern pieces for a Jean Muir dress, Spring 1980. 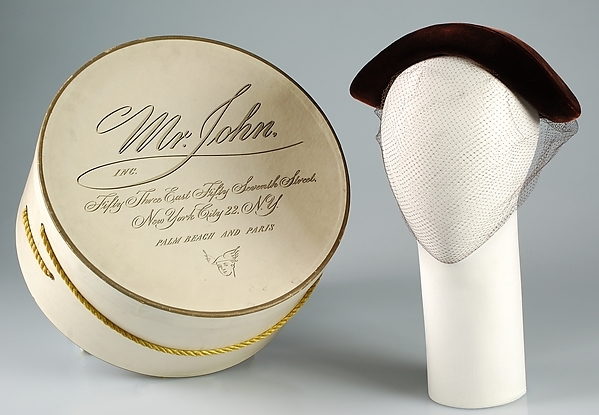 Image © National Museums Scotland. 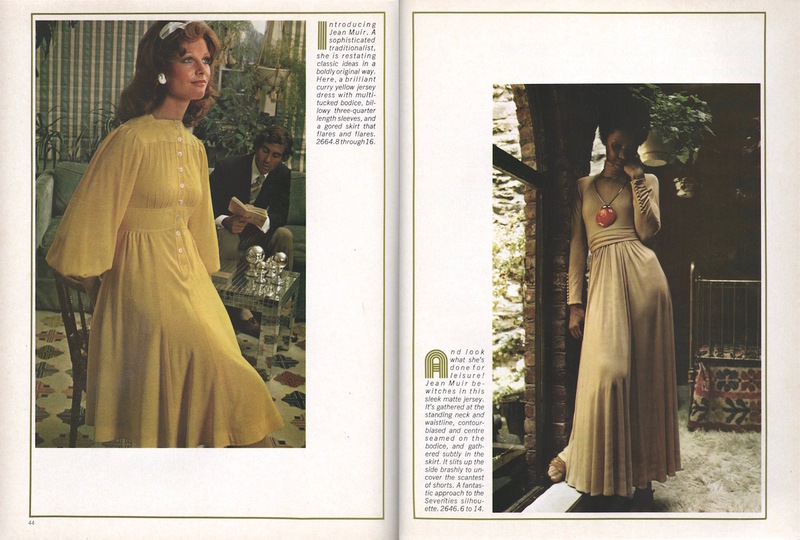 “Introducing Jean Muir” — Vogue 2664 and 2646 in Vogue Pattern Book, February/March 1972. Faye Dunaway in Jean Muir, Vogue, March 1973. Photo: Richard Avedon. Image: The Fashion Spot. 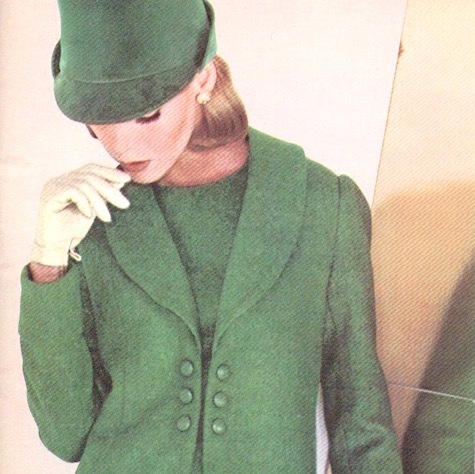 Vogue 2804 by Jean Muir (1973) Image: Etsy. 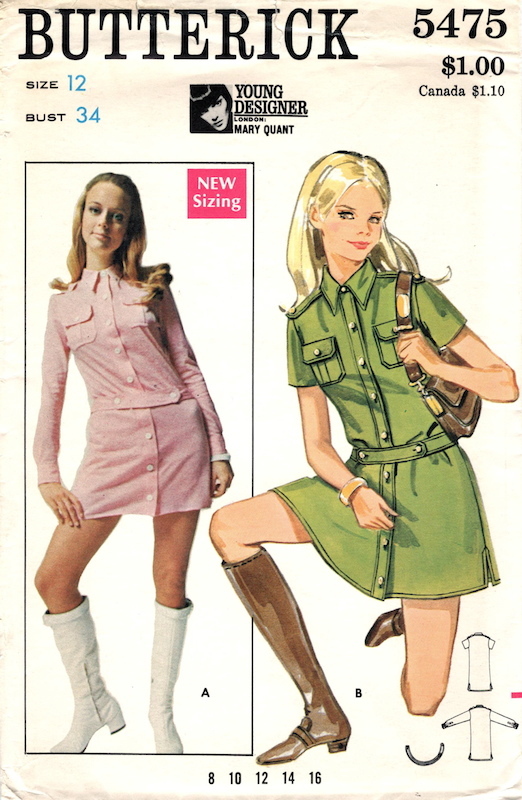 Vogue 2804 by Jean Muir, Vogue Patterns catalogue, May 1973. Image: eBay. 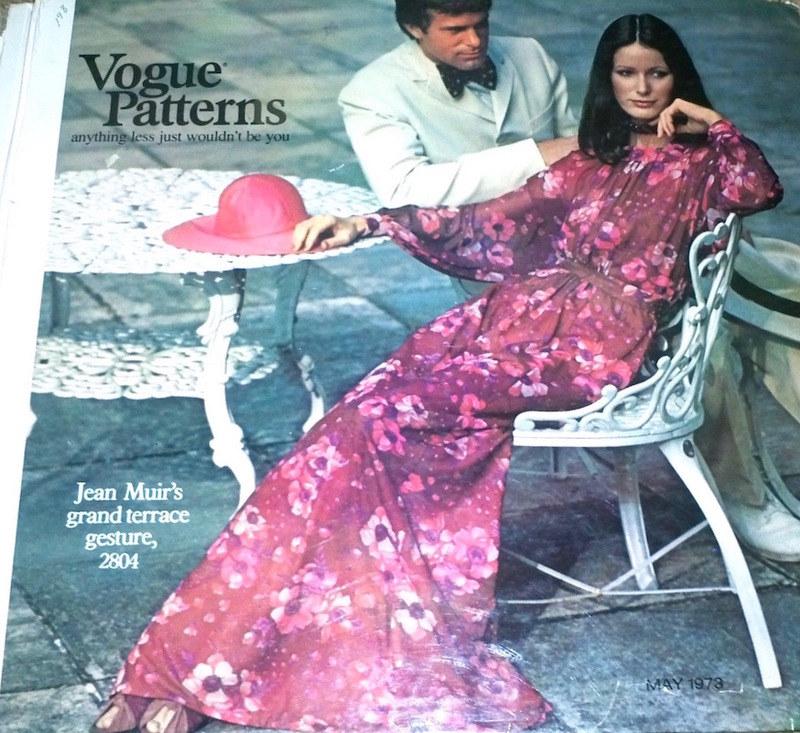 Vogue 2884 by Jean Muir (1973) Image: PatternVault on Etsy. Jean Muir olive suede-trimmed angora dress and cloche, British Vogue, September 1, 1973. Photo: David Bailey. Model: Anjelica Huston. Image: Youthquakers. Vogue 1148 by Jean Muir (1974) Image via PatternVault on Etsy. 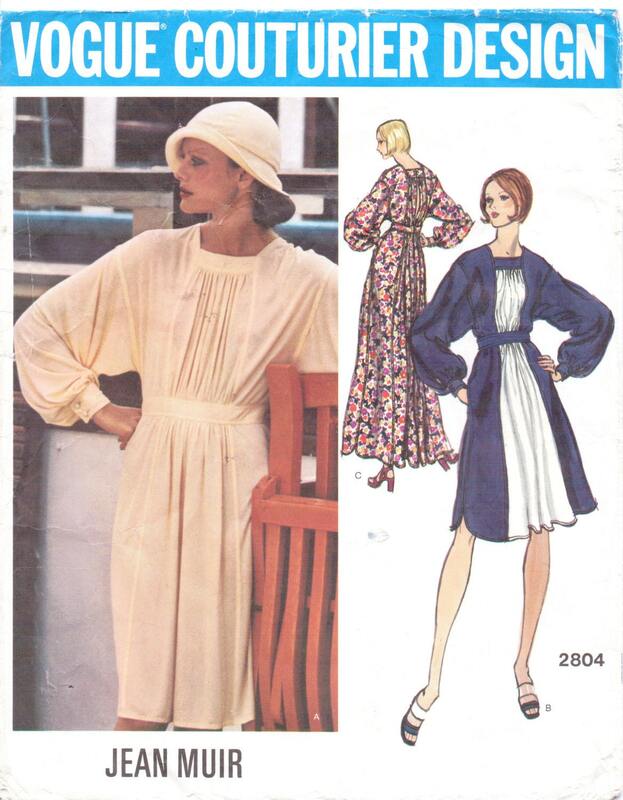 Vogue 9239 with Vogue 1148 by Jean Muir, Vogue Patterns Eye on Fashion, September 1975. Illustration: Michaele Vollbracht. Image: eBay. 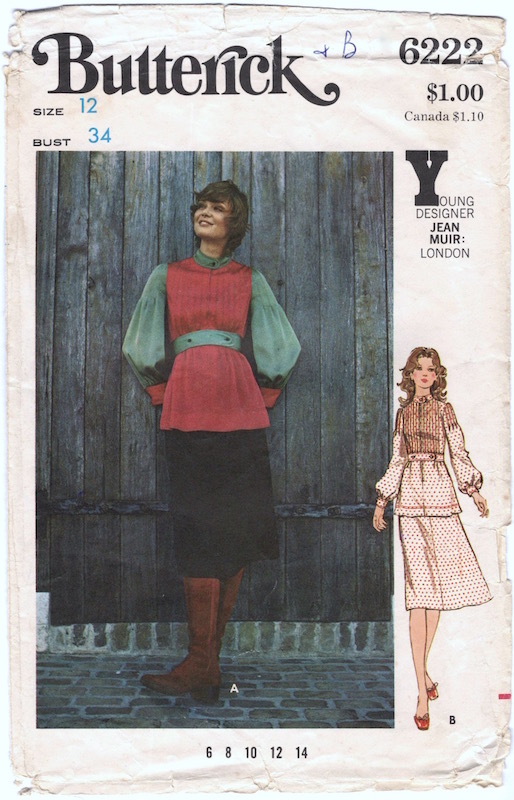 Vogue 1153 by Jean Muir (1974) Image: Etsy. 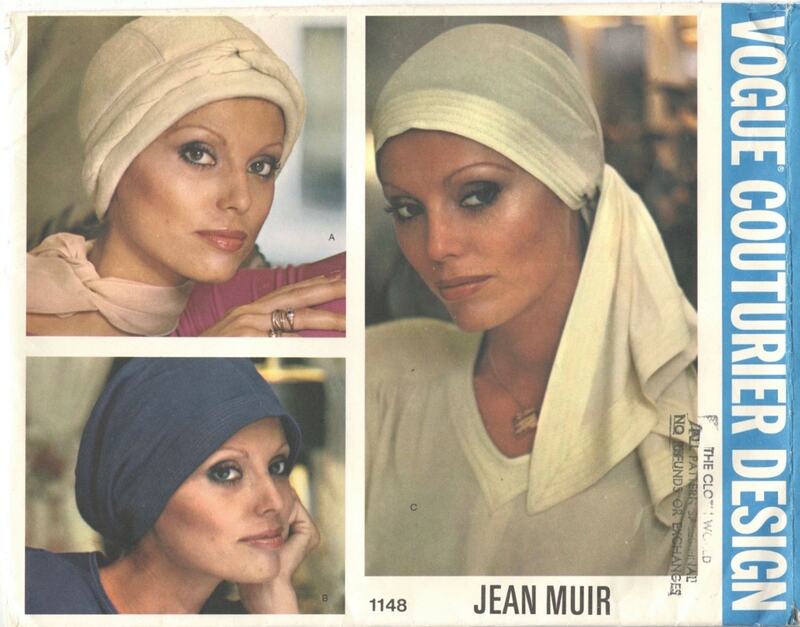 Models with Jean Muir in Vogue, February 1975. 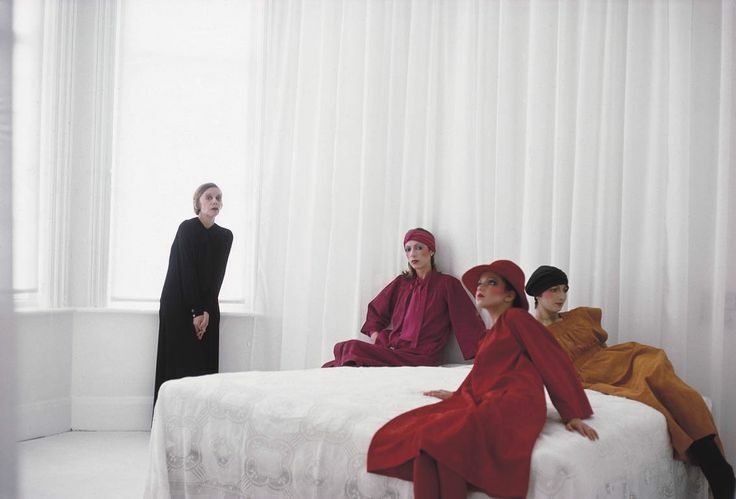 Photo: Deborah Turbeville. Models: Paddy Grey and Clio Goldsmith. Image: What Goes Around Comes Around. Jean Muir with models in her suede dresses: Louise Pleydell-Bouverie, Clio Goldsmith, and Paddy Grey, for Vogue, February 1975. Photo: Deborah Turbeville. Image: the Wapping Project. 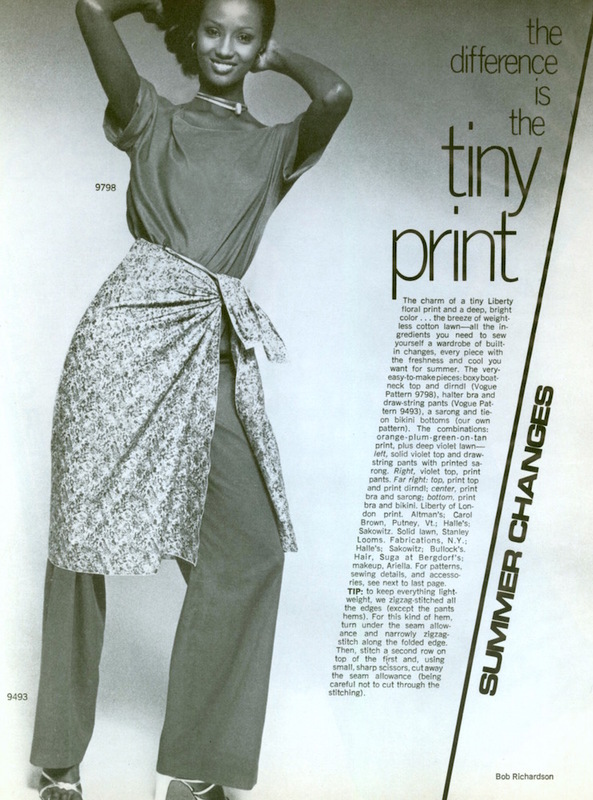 Right: Jean Muir Liberty print smock dress, Vogue, May 1975. Photo: Deborah Turbeville. Stylist: Polly Mellen. Image: the Fashion Spot. Vogue 2399 by Jean Muir (1980) Model: Iman. Vogue 2463 by Jean Muir (1980) Image: Etsy. Vogue 1123 by Jean Muir (1983) Image: Rusty Zipper. 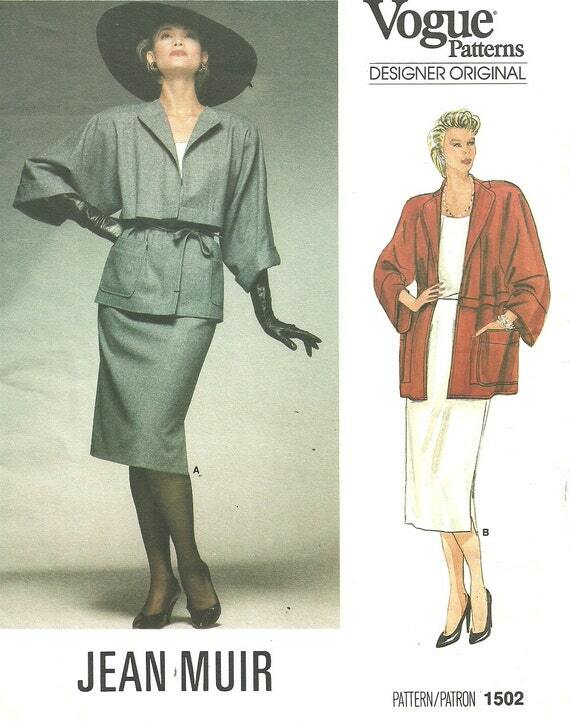 Vogue 1502 by Jean Muir (1985) Image: Etsy. Channel Four / Style 0526 by Jean Muir (1993) Image: eBay. 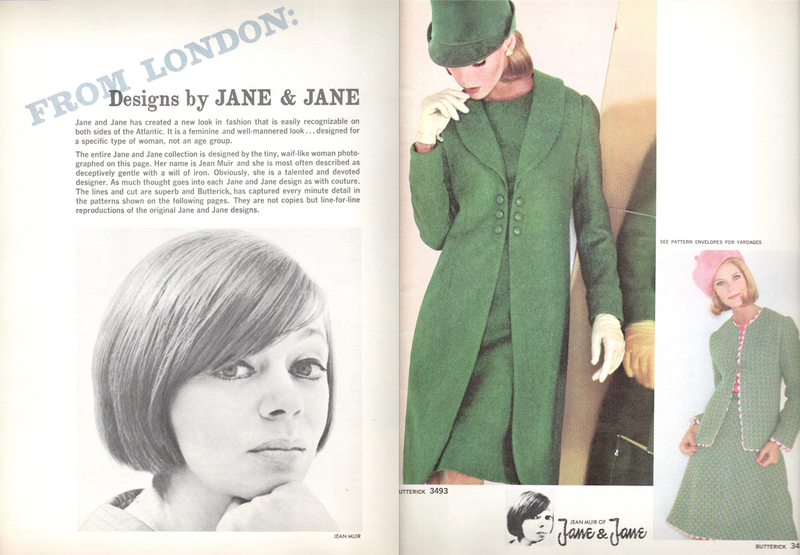 Jean Muir’s dedication to the craft of fashion design gives her work a special appeal for home sewers. When Leeds Art Galleries mounted a travelling Jean Muir exhibition, dressmakers brought their Vogue patterns for her to sign. 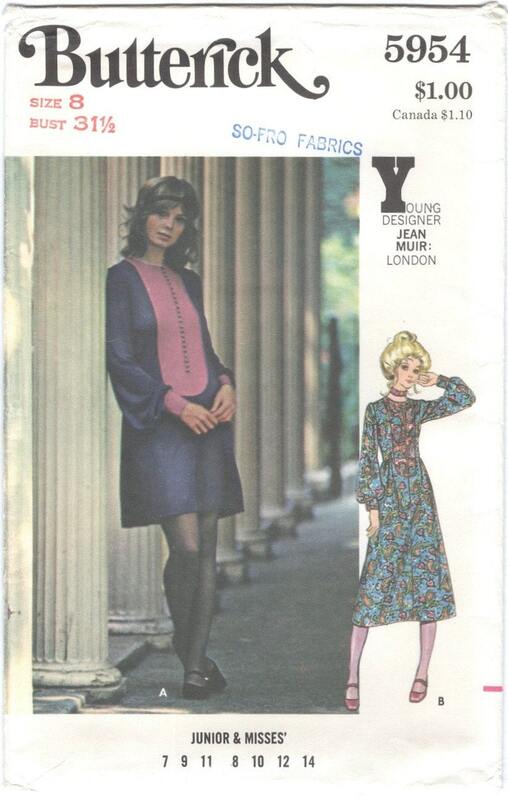 * Have you made any Jean Muir patterns? * Maureen Cleave, “Makers of Modern Fashion: Jean Muir,” Observer supplement, September 21, 1980. 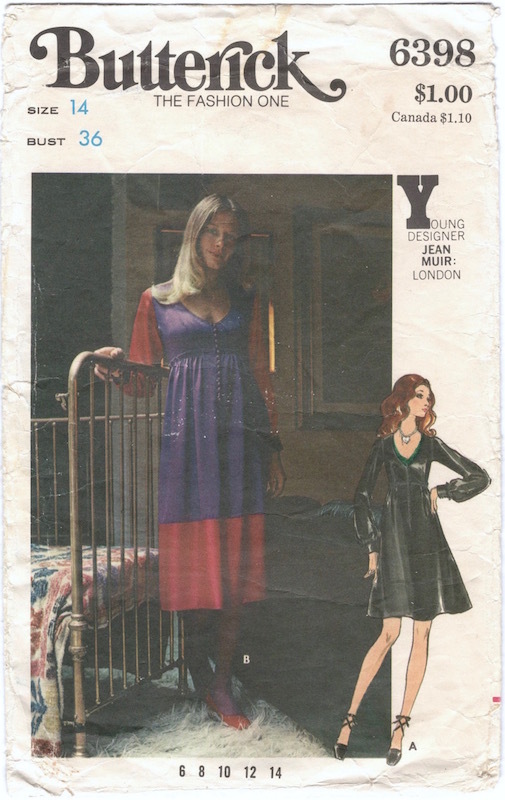 Jean Muir dress, British Vogue, September 15, 1973. Photo: Eric Boman. Model: Grace Coddington. Image: Beauty is a warm gun. Karen Kain in Jean Muir, Vogue, November 1975. Photo: David Montgomery. Image: Barefoot Vintage. 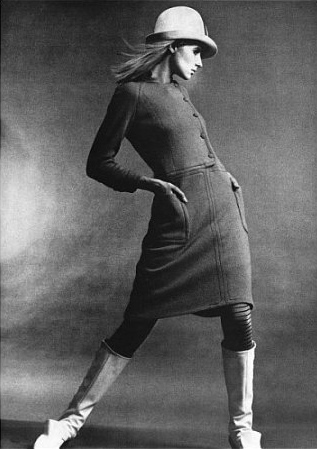 Punched suede top and matte jersey skirt by Jean Muir, British Vogue, February 1973. Photo: David Bailey. Model: Donna Mitchell. Image: Youthquakers. Iman on the cover of Vogue Italia, March 1976. Photo: Norman Parkinson. Image via eBay. Iman and David Bowie in Vogue Italia, August 1995. Photo: Bruce Weber. Image via vogue.it. Iman can be seen on a handful of Vogue Patterns, circa 1980, as well as pattern editorials in Vogue Patterns and Vogue magazine. Vogue 2400 by Emanuel Ungaro (ca. 1980) Image via Etsy. 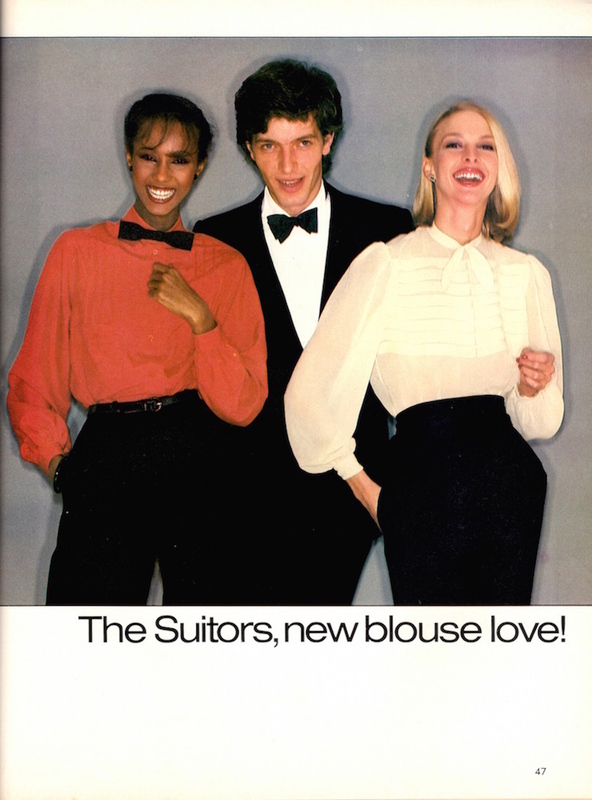 Vogue 2404 by Yves Saint Laurent (1980) Image via Etsy. 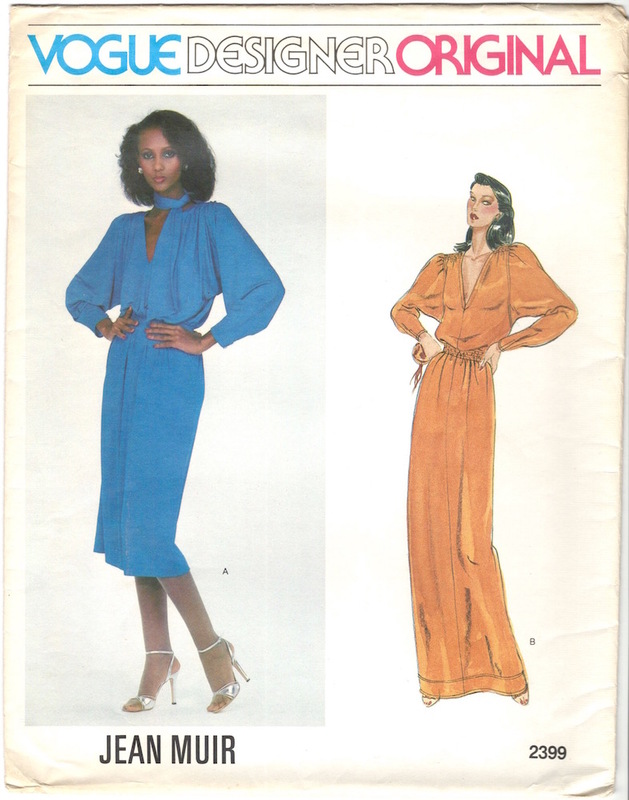 Iman in Vogue 9798 and 9493, Vogue, May 1977. Photo: Bob Richardson. Image via the Fashion Spot. 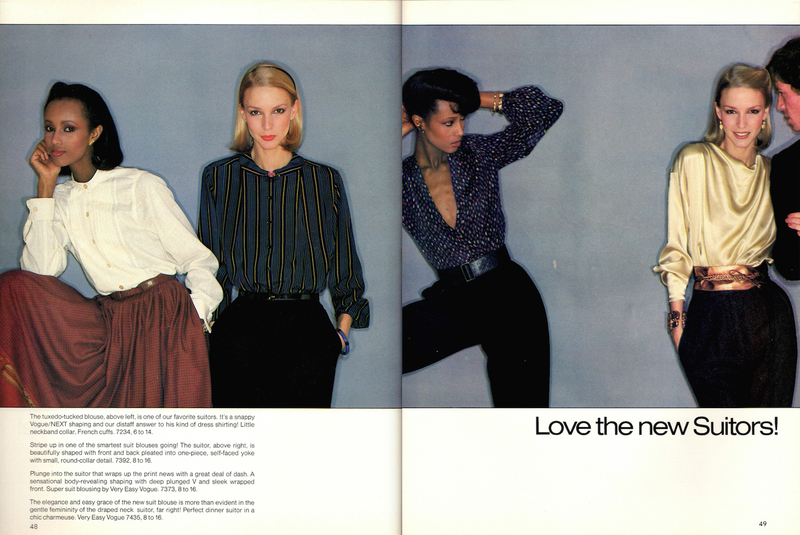 Iman and Karen Bjornson in Vogue Patterns, July/August 1979. Photo: Patrick Demarchelier. Iman and Karen Bjornson in Vogue Patterns, July/August 1979. Photos: Patrick Demarchelier. Iman on the cover of Cosmopolitan Italia, June 1980. Image via Modelinia/Fashion Bomb daily. With thanks to vegas4001 for the Vogue Italia photographer credit. Celia Hammond in Paco Rabanne. British Vogue, May 1966. Photo: David Bailey. Image: Vogue UK. 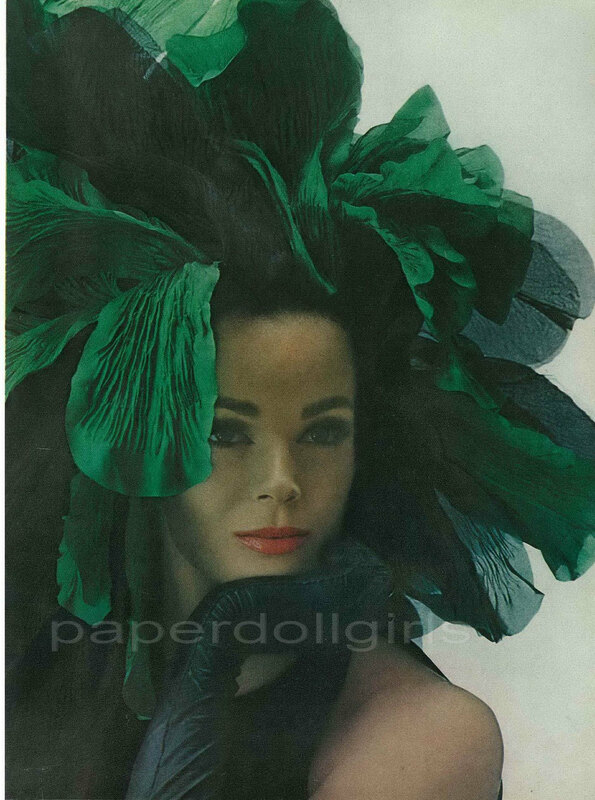 Born in Indonesia, Celia Hammond was discovered by Norman Parkinson in the early 1960s and went on to build a career as a top model in Paris and Swinging London. 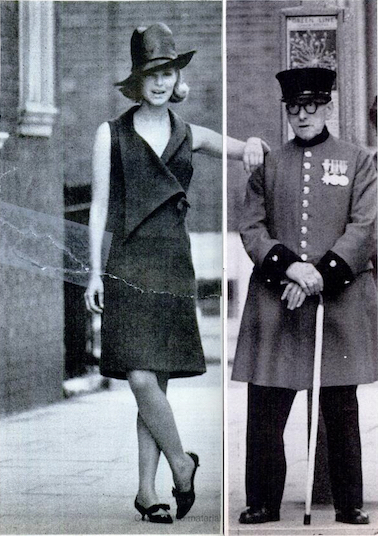 British Vogue, June 1967. Photo: David Bailey. Image: Vogue UK. 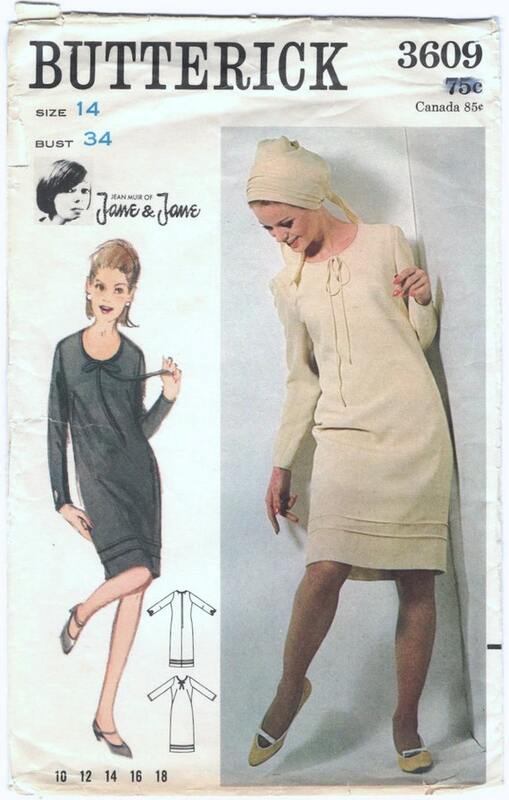 Hammond may be seen on many designer patterns from Vogue and Butterick from the mid-1960s, always by British designers. 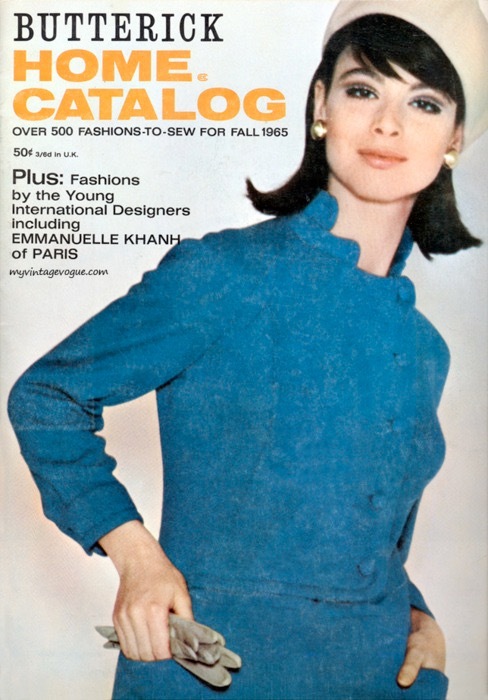 Vogue 1330 by Michael (1964) Image: The Blue Gardenia. 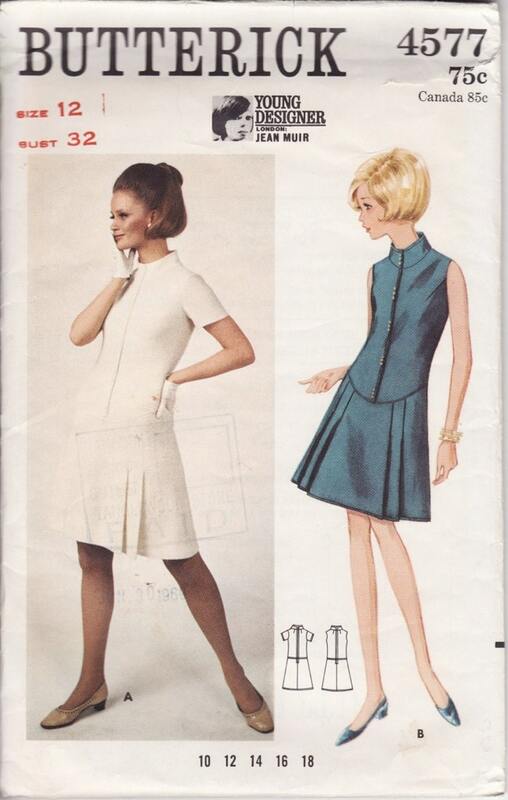 Butterick 3288 by Mary Quant; Butterick catalogue, October 1964. Photo: Terence Donovan. Image: eBay. 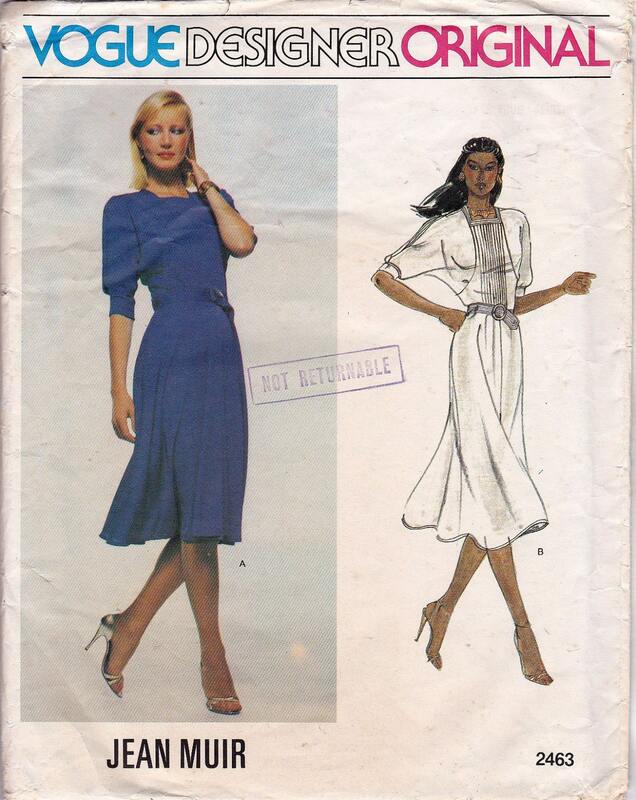 Butterick 4153 by Jean Muir (ca. 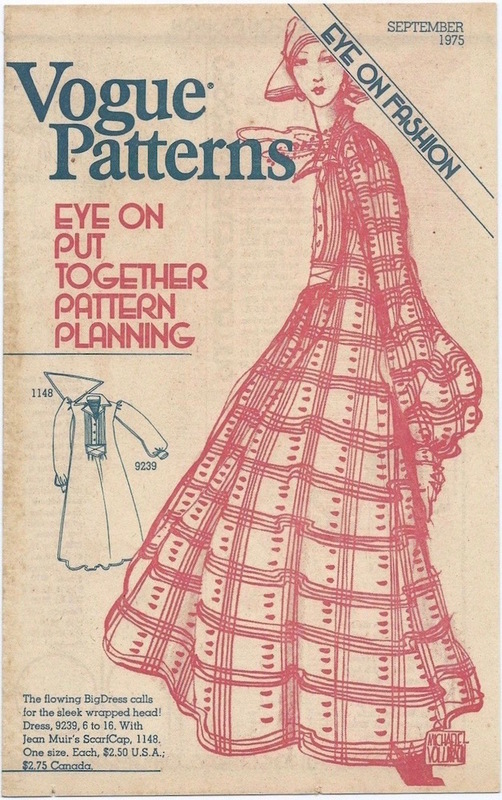 1965) Image: Vintage Patterns Wiki. 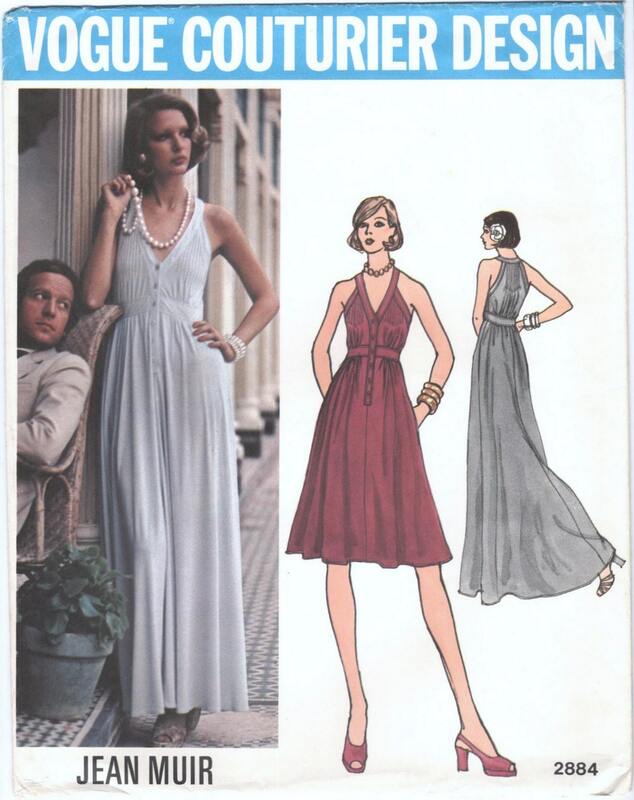 Butterick 4577 by Jean Muir (ca. 1967) Image: Etsy. 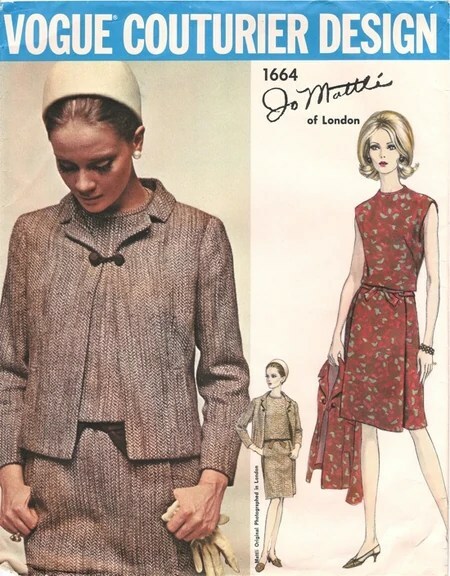 Vogue 1664 by Jo Mattli (1966) Image: Vintage Patterns Wiki. 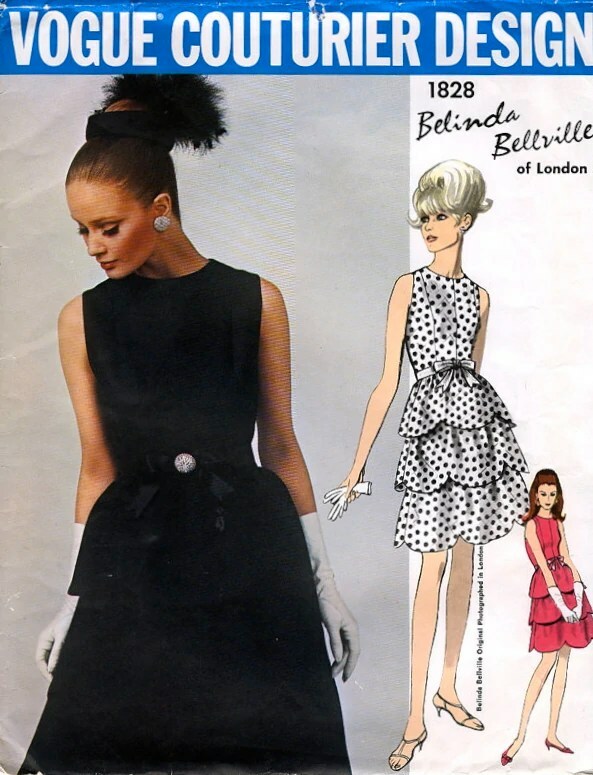 Vogue 1680 by Belinda Bellville (1966) Image: Vintage Patterns Wiki. 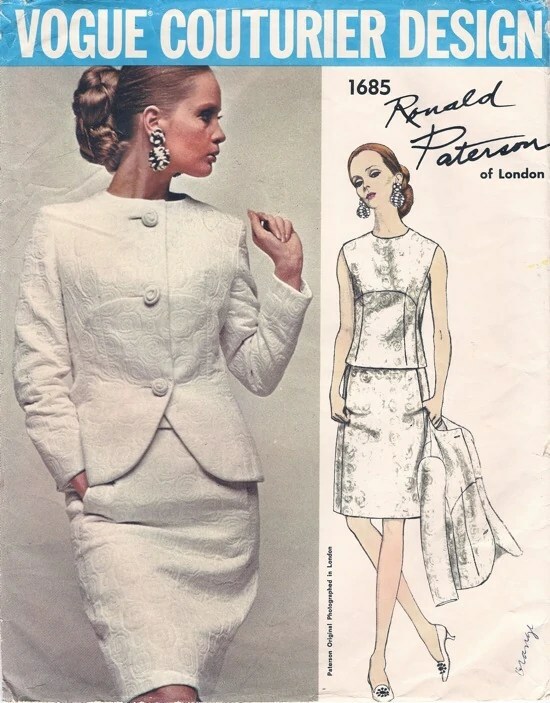 Vogue 1685 by Ronald Paterson (1967) Image: Vintage Patterns Wiki. Vogue 1795 by Belinda Bellville (1967) Image: Vintage Patterns Wiki. Vogue 1828 by Belinda Bellville (1967) Image: Vintage Patterns Wiki. Vogue 1861 by Michael of London (1967) Image: Vintage Patterns Wiki. Hammond retired from modelling to devote herself full-time to her work for animal welfare; she remains active for this cause as the founder of the Celia Hammond Animal Trust. Click the models tag to see more posts in my models series.